You are here: Home / Subject / Consumer Engagement / Humour in destination marketing: Denmark and Sweden had a Twitter scrap and people went wild. But what was the point? 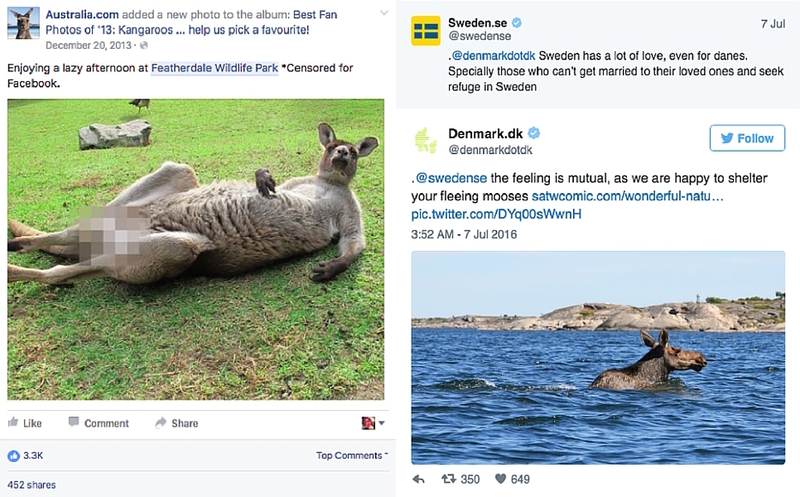 The official channels of Denmark and Sweden (not to be confused with the countries’ official destination marketing organizations, though they work toward similar objectives) took to Twitter in what was obviously a pre-planned and somewhat odd “beef” that included memes, gifs, news articles, random facts and sly digs. For English-speaking locals, expats, and people who have lived or worked in either country, the jokes resonated. Others enjoyed the fact that two supposedly buttoned-down Scandinavian destinations were duking it out online. In just over a week, 50 media outlets wrote about the exchange and 32,000+ people shared it. But this exchange – like almost all humorous posts that go viral – was also met with bah humbugs. Some wondered about its point. From a tourism perspective, what objective could it have possibly fulfilled? How does it swing the pendulum enough to get people to think about visiting or investing in Denmark and Sweden? Everyone knows that using humour on social media, is, well, fun. But as marketers we also know that censored photos of kangaroos reclining or jokes about swimming moose may not inspire potential visitors to rush out immediately out to book at ticket to a new holiday destination. And since visitation is the ultimate goal of destination marketers, then why bother? Should destinations just chill a bit? Have a look at the channels of the majority of destinations offering amazing landscapes, beaches or cosmopolitan cities. You’ll find similar posts, drafted in a warm but professional tone, playing it safe, day after day. Are these posts more effective at encouraging people to to book their tickets? Or is it time for destinations to have a bit more fun and connect with people higher up in the path to purchase? Is humour a long-term play? Can content that provokes an emotional response create better brand affinity? Ferencz Thuróczy, the Social Media Manager of Sweden’s official social media channels, who picked the Denmark fight, thinks so. So we reached out to Thurócz find out what the helvete he was thinking. To make Sweden look very cool in the eyes of the internet and to make people laugh. A very simple objective. And yet destination marketers tend stay away from using direct humor in their marketing and social efforts. Why do you think that is? Partly because I think many destination marketers are so afraid of making mistakes. A core part here is to not take yourself too seriously, and remember that followers are just people, with a sense of humour and who can appreciate a good laugh. I can imagine that a destination marketer would benefit greatly from posting things that are not just beautiful or informative. An idea would be to just walk around in the destination… fun graffiti or urban hacks are [also] part of the destination. Audiences [are often] large and diverse, meaning that you can target your content. Another way is to involve the target audience in content production. This is something we’ve done successfully on several channels. So how did the Twitter “fight” with Denmark unfold? 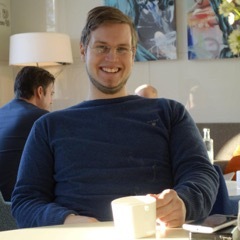 I was in touch with Andreas Vig Lannov, Editor of Denmark.dk. I initiated a short discussion about this, and we both quickly realized the value of what we could achieve here, so we decided to move forward on the idea. We have a great relationship with the Danes, and we agree on many issues. How long did it all take and how much was your media spend to support this? Most updates were researched and written in less than 20 minutes. I had some help from my team who prepared research. We had discussions throughout the day on what content to respond with [but] we did not spend any media dollars at all. In total we estimate that our reach was around 23 million with 32,000+ shares and around 50 media outlets reported on this, so far. We [also] found that 80%+ of all tweets written in connection with our Twitter war was positive, the rest were mostly neutral. Impressive numbers. But being bold often means moving quickly. Some destinations are concerned about causing offense, and as such, tend to over-analyze efforts or require sign offs at multiple levels. Was there any concern when you came up with this idea about feedback from bosses, industry partners or important businesses within Sweden? The Swedish way of working is based on trust – it’s part of our culture. Freedom under responsibility, but also about being open and transparent. My team and I can go ahead because we’re trusted to make informed decisions, take opportunities and to ask for help if we need it. We have a great relationship with Visit Sweden, they’re one of our closest partners. We’ve developed several initiatives together over the years. Curators of @Sweden, Sweden’s official Twitter account, where the handle is given to one Swedish citizen per week, was a cooperation between the Swedish Institute and Visit Sweden. What advice would you have to destinations who want to be more adventurous in their communications? It may sound cliché, but being open-minded and trying different things is a must. A successful campaign is an amazing thing to drive experience, and one of the reasons we succeed is by allowing each other to make mistakes and learn from them. That helps us to keep developing our process creating must-see, must-read content. The faster you can move the better, that’s the nature of social media. You need to get out of your comfort zone. Building a great community around different social channels takes a lot of time, and there are no shortcuts. If you build a community properly, with good content and take care of that community, you will become an influencer. I think the Sweden channels are a great example of that. Several other countries have been influenced by our concept, like Turkey, Slovenia, Finland and Norway. All of our channels have an amazing community that we constantly talk to, care about and show love to.